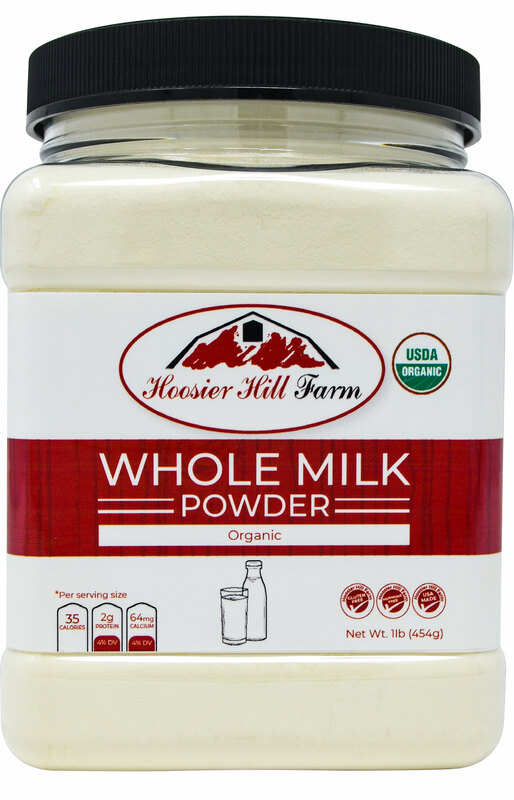 Organic Whole Milk Powder is great for use in confections, baked goods, as a nutrient supplement, an ingredient in dry blends or reconstituted for use as liquid milk. 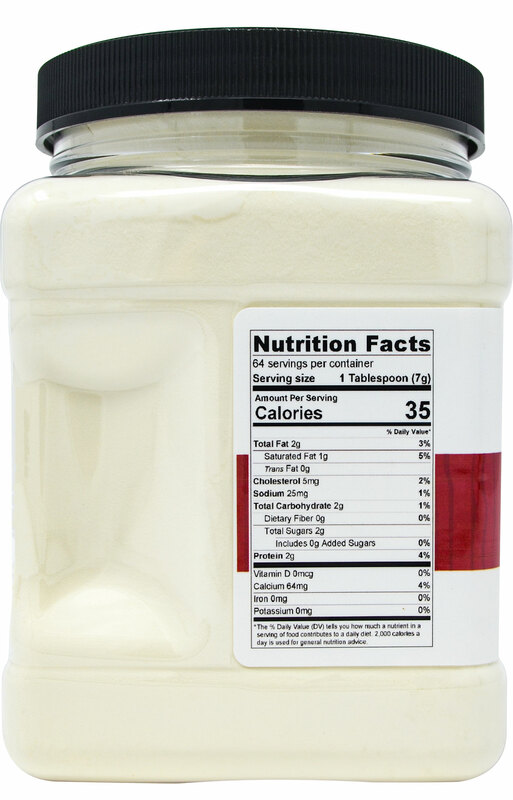 4.5 cups powder plus 3.75 quarts water Makes 1 gallon liquid milk. 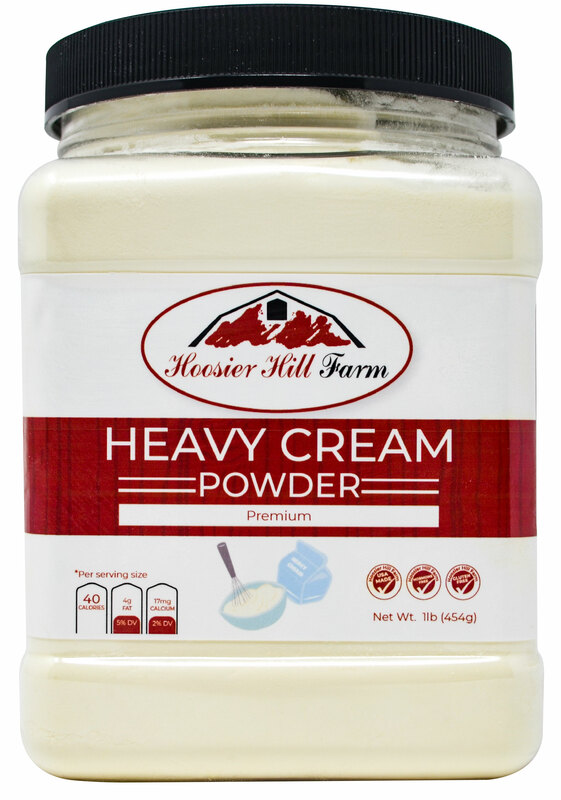 As this product is not an instant powder, to aid in mixing, use a whisk and warm water, then chill as needed. 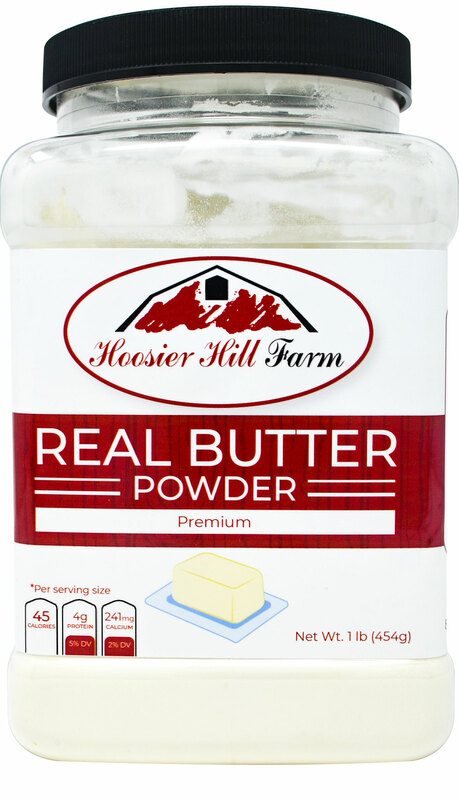 - Add to your coffee or tea for use as a creamer. 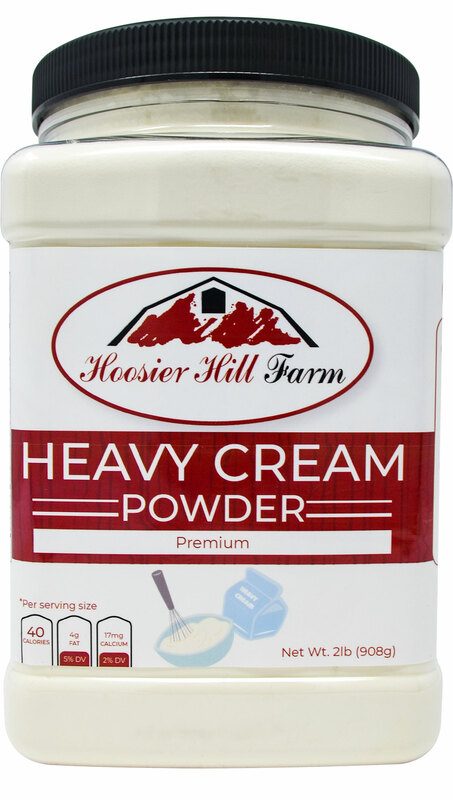 Please note: Our Whole Milk Powder mixes much more easily in warm water than in hot or cold liquids. 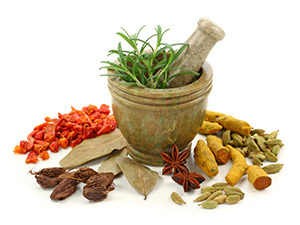 If you use as a creamer in coffee or tea, you will have better results if you mix with water first then add to your beverage. 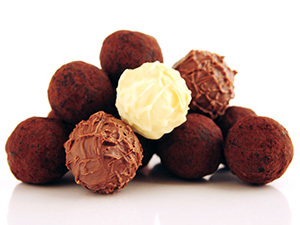 Alternatively, add your powder to a small amount of coffee or tea and mix till a smooth paste, then slowly add your beverage. 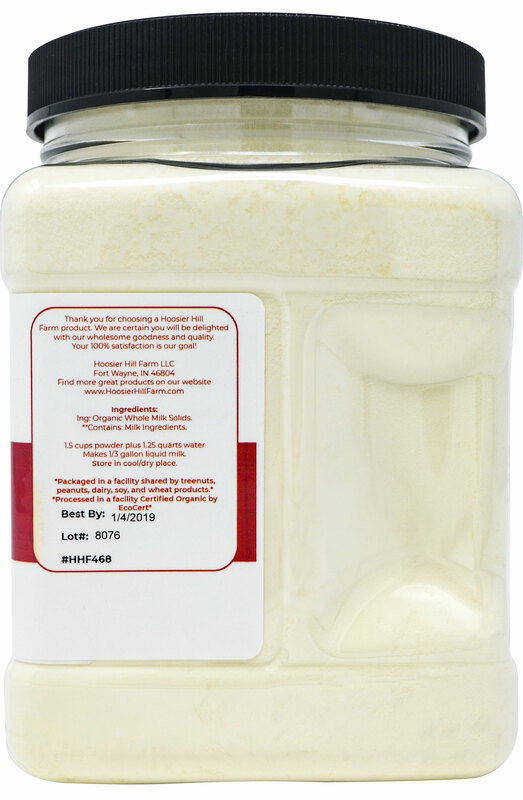 - Add to instant mashed potatoes to make them extra creamy. - Make pudding, creamed chicken, and breads. - Or try using as a luxurious milk bath. 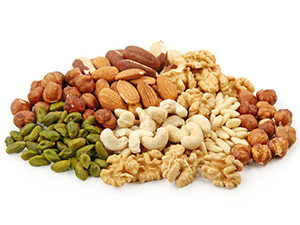 Packaged in a Plastic jar and factory sealed to preserve freshness and shelf-life. 1 lb. 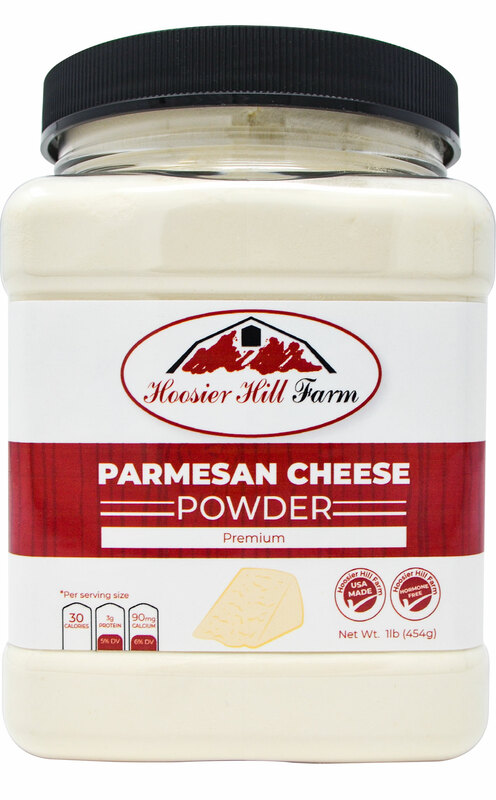 Hoosier Hill Farm All American Dairy Whole Milk powder in a resealable Jar. 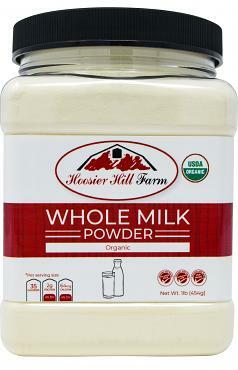 One pound of our Whole Milk Powder will make approximately one half gallon of liquid milk. In a small bowl, whisk the egg, milk, baking powder, and paprika together. Dissolve the mixture in the water. 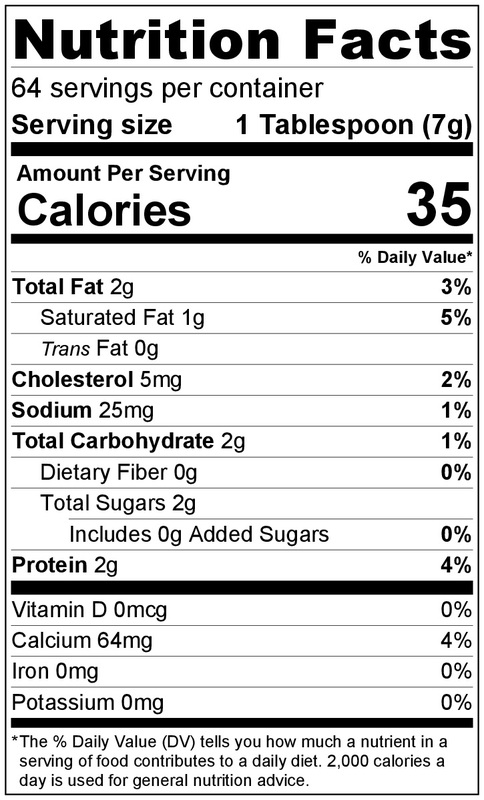 Measure and sift the ingredients (as needed) and mix well. 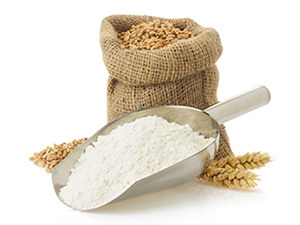 When ready to cook, whisk 2 1/4 cups mix with 1 cup minus 1 Tbsp water. Prepare your griddle (over medium low heat) by placing a good sized drop of water on it and heating. Once the water drop boils the griddle is hot enough to cook. Spray with nonstick cooking spray and wipe any excess oil from the pan. Cook by 1/4 cup portions about 2 minutes per side. Serve and enjoy! Add liquid (water or milk) to desired consistency. Serve with beef or mushrooms over egg noodles. 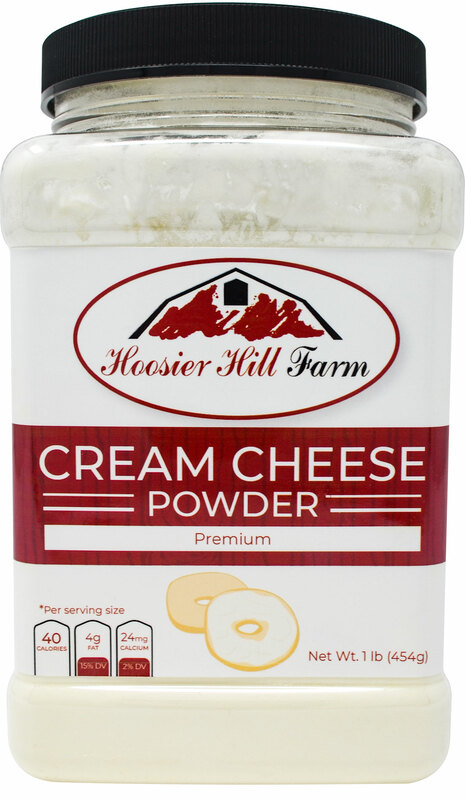 Cream Cheese powder, 1 Lb. 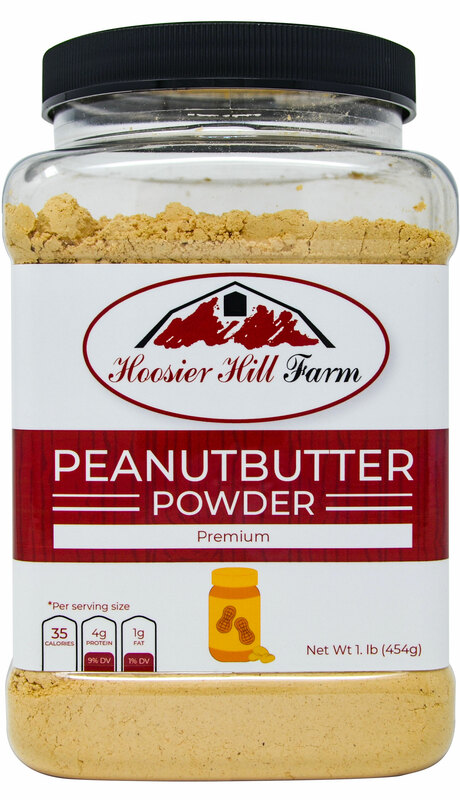 Peanut Butter Powder by Hoosier Hill Farm, 1 lb. 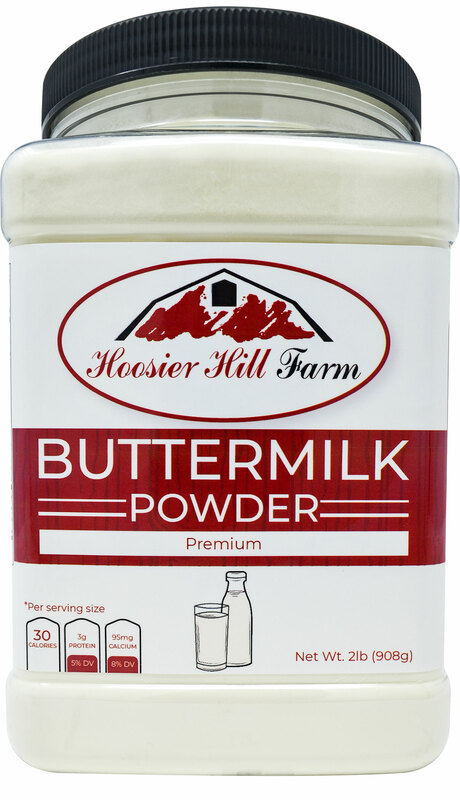 Old-fashioned Malted Milk Powder by Hoosier Hill Farm, 1.5 lbs. 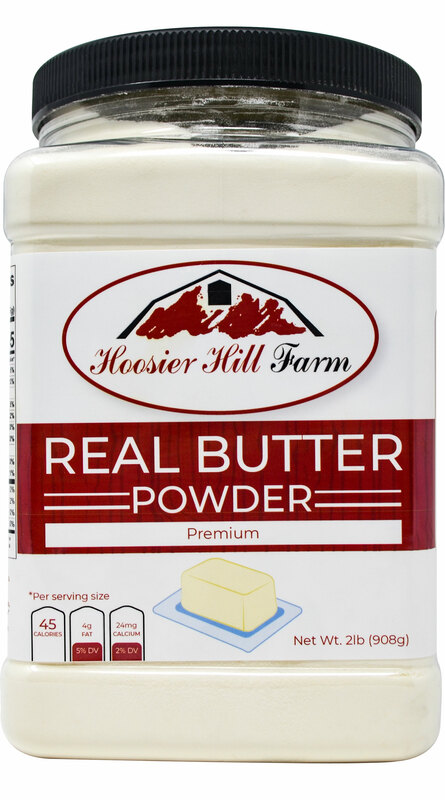 I've tried several different types of malted milk powder and this is definitely the best tasting that I have found. WAY better than the store brand! The taste of this product takes me back to childhood days in the local malt shop. 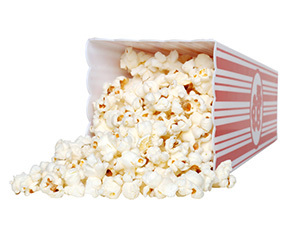 It has that rich malt flavor without the strange aftertaste of the store brand.